What are 100 of the Profitable Business Models? 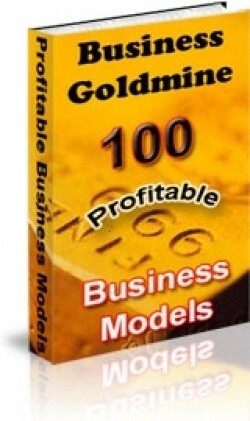 Business Goldmine: 100 Profitable Business Models! yourself and keep all the profits or deal with other distributors and share the profit. both sell it and split the profits. You could also have multiple co-authors. free publicity or other incentives. You would simply contact the authors and experts you want and ask them to donate some content. 4. Start An Affiliate Program For The Publication – You could allow other people to sell your publication for a percentage of the profits. You could eventually have literally thousands of people promoting your product with very little work on your part and no out-of-pocket expenses. 5. Sell The Reprint Rights To The Publication – You can allow others to sell the publication for 100% of the profits. You could include ads for other products that you’re selling for a back-end, which means the sale of your other items through the ads. 6. Sell The Master Reprint Rights To The Publication – You could allow other people to sell the publication and the reprint rights to the publication. You could still include ads for your other products. The list goes on…. there are 100 business ideas listed in it. ⟵HOW TO COPE AFTER A BROKEN RELATIONSHIP?